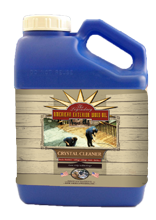 The Crystal Cleaner is a high quality wood cleaner. to remove grease grime, dirt, organic stains, tree sap and mineral deposits. Kills mold and mildew. Eco-friendly, biodegradable, safe on soil and plant life. Sweep the surface with a stiff broom or use a blower to clean area of debris. 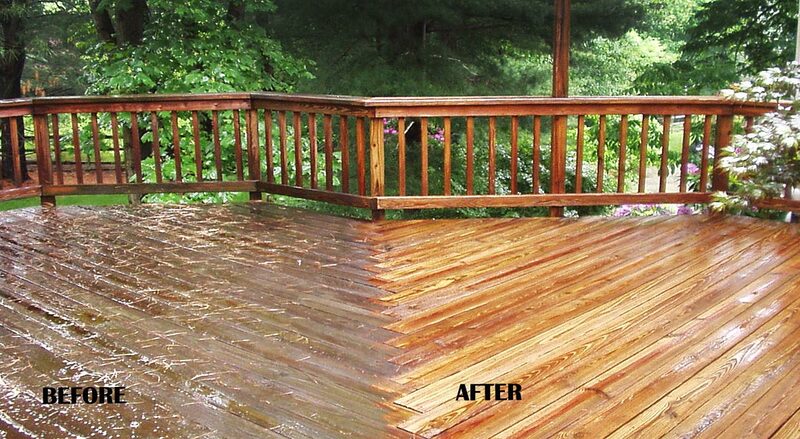 Exterior Crystal Cleaner is most effective at temperatures where wood is not hot to touch. Pour one to two cups crystals into one gallon (appr. 4l) of clean water and mix. Coverage about 400 square feet (appr. 40 m2). Mist the surface with a garden hose/sprayer. Sprinkle directly using a pump up garden sprayer and apply the solution liberally. Agitate with a stiff bristle brush for ten to fifteen minutes. Do not allow the solution to dry on the surface. Rinse thoroughly with water.